Azure SQL Data Warehouse (SQL DW) is a fast, flexible, and secure analytics platform that helps our customers transform data into actionable insights. Starting today, Azure SQL DW customers can seamlessly get rich insights and build customizable dashboard widgets to better manage and tune their workloads. This experience is made real by the general availability of Azure Data Studio, a tool that provides a Transact-SQL (T-SQL) code editor with IntelliSense, an integrated terminal for common command line tools, and customizable database widgets encapsulated through extensions. 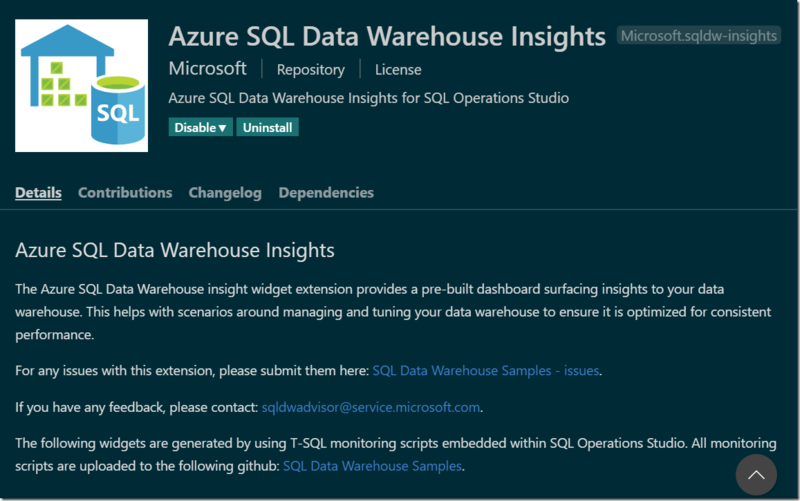 The Azure SQL DW insights extension can be leveraged with Azure Data Studio to automatically render dashboard widgets to help surface tuning insights into your data warehouse. These dashboard views are automatically refreshed to help you seamlessly apply best practices and ensure that your workload is optimized for performance within a single tool. Currently, the following dashboard widgets are immediately available when downloading the extension. You can visualize the data distribution across your data warehouse to immediately detect whether your data warehouse is suffering from physical data skew which can impact query performance. 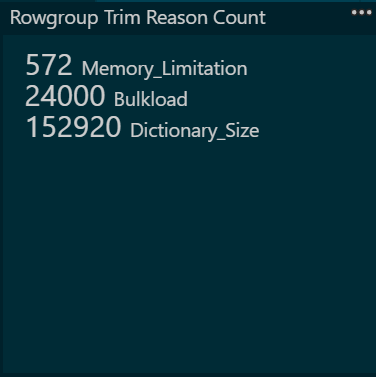 These views help you maximize columnstore row group quality, address suboptimal statistics, and resolve data skew. You can also immediately apply your data warehouse recommendations by detecting impacted tables using these views. You are consistently informed on your data warehouse workload where details on active sessions, queued queries, and loads are automatically refreshed. Also, you can also identify your latest restore point and if required, create a user-defined restore point immediately through the tool’s integrated terminal to ensure your data is protected. Insight widgets are generated through T-SQL scripts embedded within Azure Data Studio. All monitoring scripts are uploaded to the following GitHub repository: SQL Data Warehouse Samples. You can help improve this extension by contributing or providing feedback.